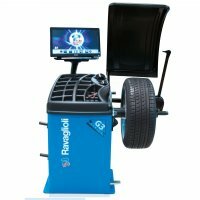 This is our work-horse wheel balancer with our conventional LED type display. The RAV G3.124RD utilizes the same body and drive train with the G3.140H. Rugged dependability and most of the software features in a standard LED type display. 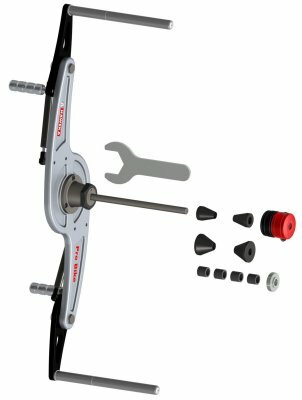 Equipped standard with automatic input of 2 parameters, the rim width data arm can be added as an option. 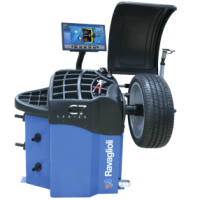 The sonar sensor to measure runout/eccentricity of the tire can also be attached to upgrade the balancer. Perfect balancer for a high volume workshop.